What's going on at the INCUBATOR? It takes a massive effort to create an environment where good ideas turn into good businesses. This applies to individual entrepreneurs, but also to the public administrators who surrounds them - locally and regionally. And here, European authorities can learn from Grenaa. 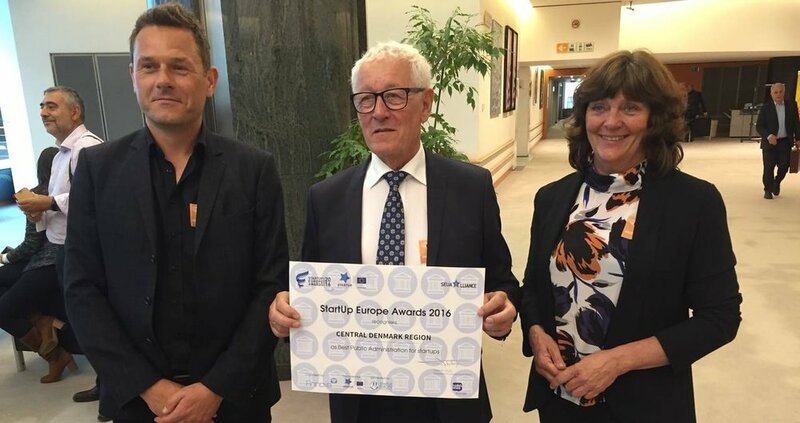 As believes the European Parliament, who on Wednesday at the Startup Europe Awards, awarded the award "Best Public Administration for Startups Award" to the common Nordic Game Hub Scandinavia, which Game Hub Denmark is a major part of. The project has already created 40 sustainable gaming companies and has many more in the jar before the project expires in spring 2018. "Virtually all of the start-ups that enter the Game Hub are former students from the Dania Academy of Business. Our work with the students during the program makes them ready to develop computer games themselves and to be independent after the study. It's a big job, but it's also worth the effort to ensure relevant work for our graduates and growth in Grenaa, "says Mikkel Fledelius Jensen, project manager at Game Hub for Business Academy Dania. He adds that the price is a shrug and a recognition that work on creating viable companies is working. "In addition to giving the young people a higher education as a game technician or multimedia designer, we then provide them with an ECTS-giving course in entrepreneurship, so they have every opportunity to be the best. The prize is a great acknowledgment that our efforts work, "says a happy Mikkel Fledelius Jensen. Game Hub Scandinavia has been developed with funds from both the EU, Growth Forum and the Region Council's Education Center in Central Denmark Region, and the project brings together partners from both the entrepreneurial and educational environment. In addition, there is close interaction with municipalities and educational institutions in Denmark, Sweden and Norway, and not least with the EU system.